Throwing a tea party is a fun way to teach kids about tea, and they can learn important life skills too. Children benefit from all forms of play where they're able to use their imagination and get creative. Why not use a tea party to fuel those growing minds? 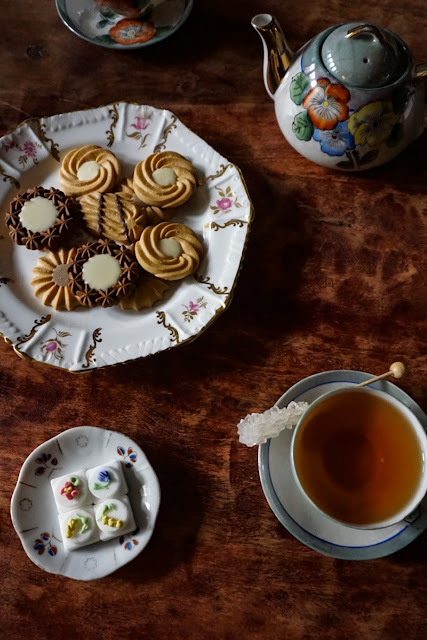 I've written about the benefits of sharing tea with kids, and tea parties are a perfect way to help kids learn the etiquette of tea party manners, taking turns, learning to be mindful, and get a little knowledge about tea along the way. Children as young as 4 can enjoy sitting at a tea party and learn the importance of interacting with friends. I recently written about the history of tea sets for kids, but why not take those tea sets and make them more than just toys? You don't need a fancy tea set-up for your kids' tea party. Adult or kid sized cups will do, and actually mismatched cups make things more colorful and fun. You can do any sort savory and sweet foods you'd like. I like to serve everything as finger food, since that's a traditional way to serve afternoon tea treats. You can even just keep it to a simple tea sandwich and a few cookies. Get the children involved in the planning and set-up, they'll feel more ownership and involvement in the party. For the tea, you can use all sorts of herbal blends. I've done workshops for kids using floral, fruity, and herbaceous blends and the kids really are game for trying everything. 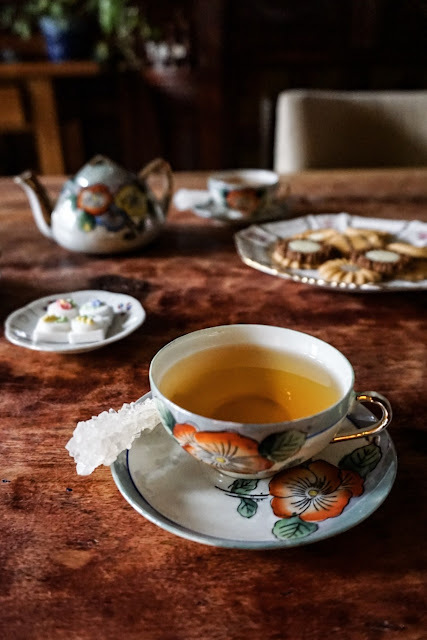 I wouldn't recommend giving children large amounts caffeinated tea, but a a sip or two of green, black, oolong, or white tea could help them better understand different types of tea. If you're serving even a sip of caffeinated tea to children other than your own, you should get permission from the parents first. Also having the leaves available to touch and smell is a great way for them to interact with the tea. -Learning how to behave around a table. Sitting (relatively) still, listening to the individual talking, and learning how to ask questions are all things you do at a tea party, and these are important skills to work on at an early age. -Waiting your turn is an important skill, and the tea party setting makes it fun. Waiting your turn to take tea and sweets, or waiting your turn to ask or answer a question. -Sharing! Need I say more? -The absence of electronics- knowing when to put the devices away is so vital these days. -Saying 'please' and 'thank you'. This takes constant practice and repetition. Putting it in the context of a tea party makes it fun, and it will become second nature after enough practice. -The fun in tasting and trying new things. Kids will be more interested in trying new foods if it's in a setting where they see their peers enjoying it. They'll also learn to slow down and taste. -Learning that tea is for everyone, not just adults, and for both girls and boys. -Learning how to prepare tea in a pot. You can use loose leaves or tea bags, but it's helpful for kids to learn how tea is made. -If you're using loose tea leaves, kids will get to see how tea can vary in shape, size, and color based on how it's processed. -They'll learn there are different types of tea, and also how different herbs and flowers can be used for tisanes. -Children will see how a tea set isn't just something you play with, it's for enjoying tea with friends. 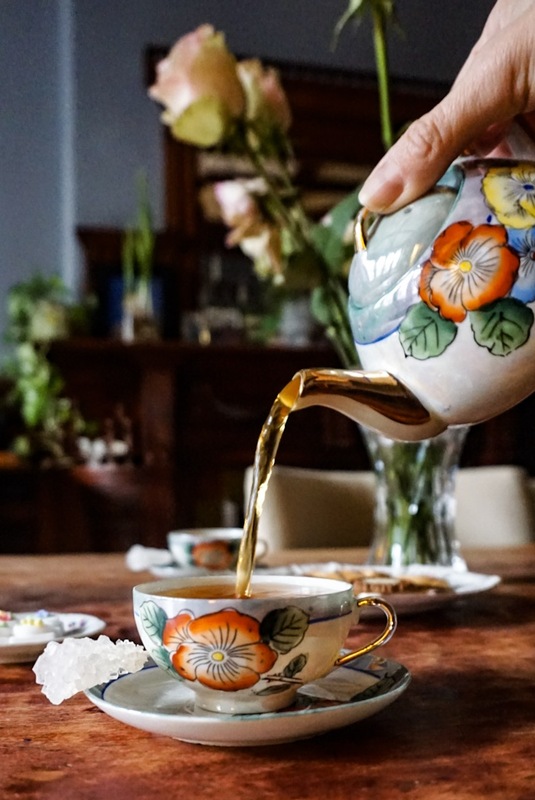 -How different cultures drink tea. -More in-depth information on tea growing and processing. As you can see, there is so much children can learn through a simple tea party! Teaching kids about tea is a new series I'll be featuring much more on the blog in the coming months. I've given tea seminars to children in the past, and as a mother of two little ones I have a bit of first hand experience in the matter. I look forward to sharing more with everyone soon. This is a great blog post. Makes me wish I still had little kids. Such a wonderful idea! Throwing a Tea Party to Teach Children Life Skills. Really enjoyed reading how it can teach children to say Please and ThankYou, as well how to listen to a conversation and participate in one. Particularly loved the concept of "The Absence of Electronics" and learning to put the devices away. Thanks for sharing a lovely article.